The Dynasty of the Scottish Jewish Queens known as the Fair or White Queens in English and in Hebrew Malcah Bahira and in Scottish Gaelic as Banrigh Fionn were the H2 mt-dna descendants of King Menachem of the Khazars. After a split by those who followed a more Davidic Rabbinic form of Judaism with those who followed the Tengri-Judaic form Menachem and the followers of the Tengri-Judaic Khazar religion (Kabars) moved west to Europe in the region of Transylvania and established a new Khazar state known as Bihar. The name of Bihar was the name of one of the ancestral Khazar Khagans (king or melekh). Menachem or Menumarot married Princess Adiva of England the daughter of King Alfred the Great. Adiva embraced the Tengri-Judaism of the Bihar Khazars which had a great devotion to the Mother Goddess or Sabbath Queen whose presence was seen as embodied in the Khazar Sacral Queen-Empress known as the Khagan Bek or Khagana Rebeka. Queen Adiva of Bihar was the mother of Princess Men or Mena of Bihar who married Zoltan the Duke of Hungary. Mena's daughter Mariota of Hungary and Bihar was the wife of Aaron (Aharon) II the King or Khagan of Khazaria (d.940). 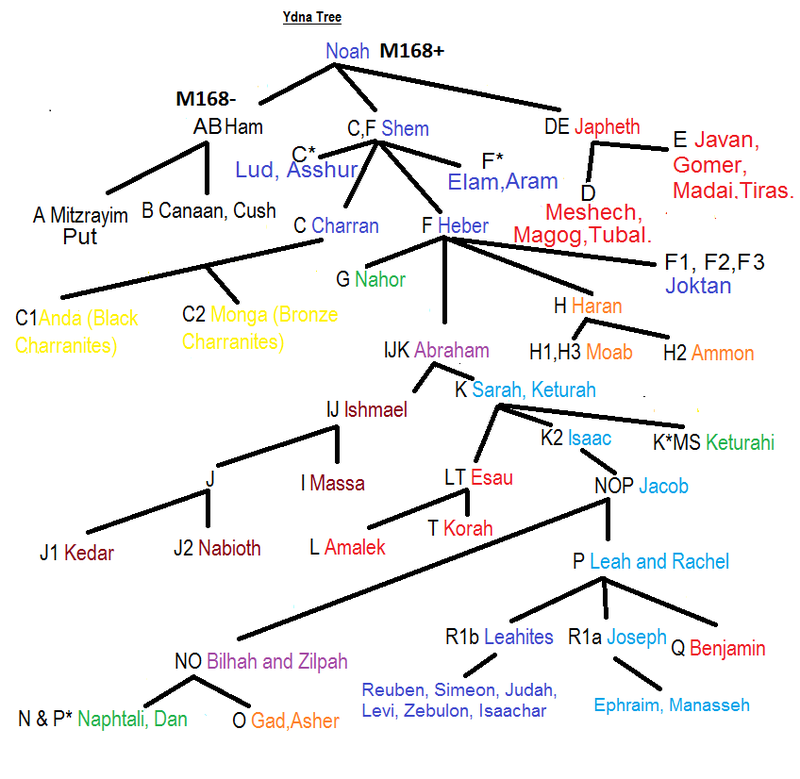 Aaron II's brother Prince Judah was the father of Yochabel haKhagan the ancestress of the Dark Jewish Queens of Flanders and Scotland of J1b1a1 mt-dna. Yochabel was the 1st Dark Jewish Queen of the Khazar Jews and a daughter of Sybille a Rhadanite Jewess with raven black hair and olive skin. Aaron II's son King Joseph of Khazaria (of R1a y-dna) fled Khazaria in 968 for the British Isles. They selected King Joseph's sister Princess Agatha Bahira to be the new sacral Queen or Khagana Rebeka. She was the first of the Bahira or Fair Khazar Jewish Queens. These Princesses from Bihar were blonde and fair and there was a word play between Bihara (of the Clan of Bihar) and Bahira (fair). Agatha's husband was Rognvald the Prince of Polatsk in Russia and of Waterford in Ireland. Her husband was descended from the Scandinavian Royal House of Waterford in Ireland. His ancestor had moved to Russia and become the Prince of Polatsk. Agatha married him while her brother was still King of Khazaria. Her daughter Rogneda the 2nd Fair Queen of the Khazars married Vladimir I the Ruling Prince of the Rus of Kiev. Their daughter also Rogneda married her relative Ragnall II King of Waterford and she was the first of the Sacral Queens descended from Adiva to move to the Isles. King Joseph and his family had already moved to Scotland and the Northern Isles around 968-9. King Joseph's grandson Prince Shlomo or Solomon (b.990 in Moray Scotland) married Ragna of Waterford and Dublin, the daughter of Ragnall II and Rogneda, who became the 3rd Fair Queen. Their son Margad became the King of Dublin. Margad's sister Agatha (b.962 Moray Scotland d. 1054 London) married Prince Edward Atheling in Hungary. Agatha's parents returned to Russia where Agatha's sister Margada married her relative Bryachislav Prince of Polatsk around 1040. Agatha's father Prince Solomon of the Scottish Khazars went to Hungary to assist his relative Andrew the White in claiming the throne of Hungary. It is here in Hungary that Edward the Exile, the Atheling heir to the English throne, met Agatha and married her around 1046. 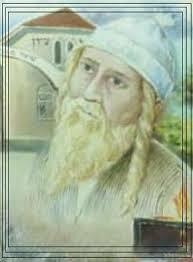 King Andrew named his son Solomon after the father of Agatha. Agatha was the mother of St Margaret of Scotland the wife of Malcolm III King of Scots. However it was Agatha's sister Ragna the 4th Fair Queen (Banrigh Fionn or Banrion Fairy) who remained Jewish and was the Queen of Dublin and Man (her husband was King Echmarcach). Her daughter Bride (Bracha) was the 5th Fair Jewish Queen who married Prince Solomon of Dublin. Their daughter Gormflaith succeeded her mother as the 6th Fair Jewish Queen who married Olaf Magnusson a prince of Norway and Dublin. At this time the Fair Jewish Queen was also associated with the term Fairy Queen (Banrion Fairy) by the Irish. She reigned from her palace which was near the present Dublin Castle. Queen Gormflaith's daughter Bride was the 7th Fair Jewish Queen who married Gilli the Jewish King of the Hebrides. Their daughter Agatha was the 8th Fair Jewish Queen who married Malcolm MacEth (of M222 y-dna) a Scottish Prince who was the Earl of Ross and Moray. Agatha's daughter Bride the 9th Fair Queen married the Khazar Prince Angus of the Isles and from this time the Fair Jewish Queens reigned from either the Isles or Moray and other places in Scotland. Bride's daughter Bethoc was the 10th Fair Jewish Queen who married Prince Ruari of the Isles. Their daughter Ragnhild the 11th Jewish Queen married Prince James of the Isles. Their daughter Euphemia (Elfame) (b.1222) was the 12th Fair Jewish Queen (Fairy Queen) who married Dugall MacRuari King of Kintyre and the Hebrides. The principal Palace or Abode of these Fair Jewish Queens was at Cnoc Rhaonastil on Islay which was believed by many to have been the residence of the Fairy Queen. Another of her abodes was at Schiehallion on the Scottish mainland. The Fairy Queen and her court were known to travel from residence to residence over the course of the year. Euphemia or Elfame's daughter Agnes was the 13th Fair Jewish Queen who married Prince Iain MacDonald of the Isles a son of Alexander I King or Lord of the Isles and his wife Juliana. Their daughter Juliana was the 14th Fair Jewish Queen followed by her daughter Amie Ruari (MacRory) [1317-1350] who married John (Iain) I MacDonald of Islay the 7th King or Lord of the Isles. 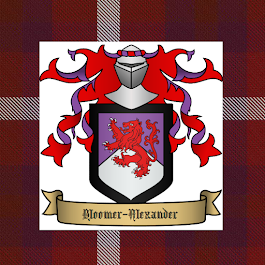 Their daughter was Margaret MacDonald the 15th Fair Jewish Queen who married Lord Donald MacKay of Strathnaver a descendant of Rebecca the 13th Dark Jewish Queen of the Khazars. She was the 1st Dark Jewish Queen of Scotland. Margaret MacDonald's daughter Margaret or Mariota MacKay was the 16th Fair Jewish Queen (Banrigh Fionn) who married the Dark Jewish King Keheh II MacIsaac (Lord Hugh). The area of the Eildon Hills and Melrose had been an abode of the Fair Jewish Queens or Fairy Queens since at least the 12th century and the families of Maxwell and Scott (R1b DF27 ZZ12) were part of these crypto-Jewish or Fairy families. It is said that the fairies left Galloway and Nithsdale in 1790 which may refer to the Jewish branch of the Maxwell family. These Jewish Maxwells were protected to a certain extent by the Catholic branch of the Maxwell family who were the Earls of Nithdale until 1716. Under Catholic rule in Scotland the Jewish communities, while low key and secretive, had a certain tolerance as many of the aristocratic families were part of this hidden Jewish network. However with the advent of Protestantism in Scotland many of these Jewish women were accused of witchcraft if they followed the ancient practices of the Tengri and matriarchal influenced Judaism of the Khazars. Many Scottish families of Jewish origin have strong spiritual gifts such as second sight or premonition which are associated with the fae or fairy and they also use traditional herbal healing remedies. These practices and beliefs were demonised by the clergy and others. The figures of the Khazar Jewish Dark King and Queen and the Fair or Fairy Queen were associated with witchcraft and satanism. John Knox and his Calvinism was anti-matriarchal and promoted a unhealthy overemphasis on patriarchy rather than a balance between the two. This produced a society in which masculine rigidity and strictness based on the letter of the law over dominated. 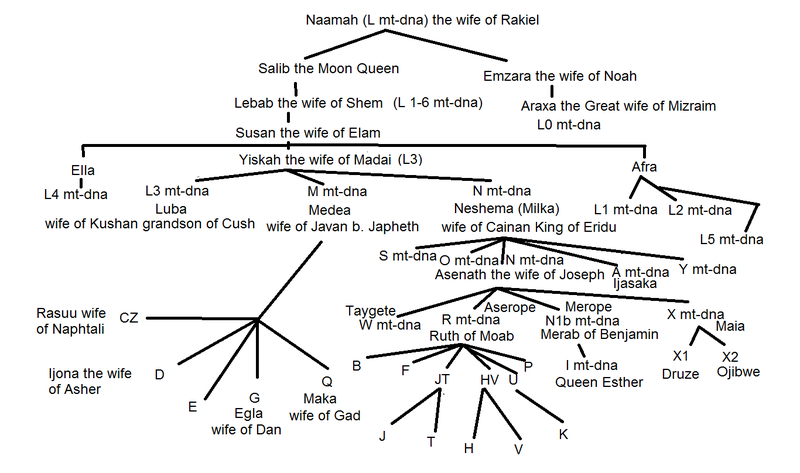 The Fair Jewish Queens descended from H2 mt-dna. They originated with Princess Asenath the Beautiful (Isnetnofret) who was a daughter of King Zedekiah the last King of Judah and his Egyptian-born Queen Tzaddah. Tzaddah maternally descended from Hephzibah the Queen Mother of Judah who was also Egyptian and a descendant of Nefertiti. Adiva's immediate maternal ancestresses were from the Royal House of Mercia in Britain descended from Queen Redburga the wife of King Egbert I of England. Redburga was a Scandinavian Princess descended from King Ivar the Wide Fathom's daughter Hilda. Hilda's mother was a Frankish Princess descended from a long line of Frankish Princesses and Ladies of Metz going back to Queen Bertrude of Franks the wife of King Clothaire II of Franks. Her mother was a Jewish Princess from Persia descended maternally from Jewish Persian and Armenian princesses descended from Vahan I the Wolf of Armenia and his wife a British Jewish or Gewisse Princess. She was in turn descended maternally from Irish and Gododdin Princesses which brings this maternal lineage full circle back to Scotland. Further back this lineage descends from Zenobia the Jewish Queen of Palmyra (born 240 AD). Zenobia was a maternal descendant of Cleopatra VII and Mark Antony. The Khazar maternal House of Kedi was also H2. The Fair Queens and the House of Kedi branch off from two of the daughters of Huna III the Babylonian Exilarch of the 4th century. The House of Kedi and the Fair Queens are probably both H2a1 mt-dna. Mary Queen of Scots belongs to another branch of H2 mt-dna and she and the Fairy Queen's both descend from two of the daughters of Lady Doda of Metz of the 7th century. The Fairy Queen's from Lady Rotrud (Ruth) of Neustria (b.674) and Mary Queen of Scots from Lady Doda (Dhoude) of Neustria (b.672). Their father was Chrodobertus (Reuben) Count of Neustria (Hesbaye). Lady Doda of Neustria married Mar David a son of Mar Chasdai II the Babylonian Exilarch and Lady Rotrud of Neustria married Lievin (Levi/Luitvin) of Hesbaye the Bishop of Treves and Guardian of the Grail Platter. 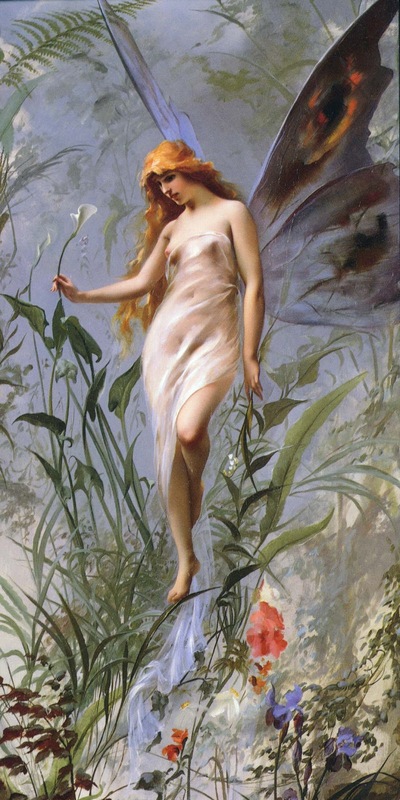 Ever wonder why fairy folk today are depicted with pointy ears? I've been a bit curious about that.